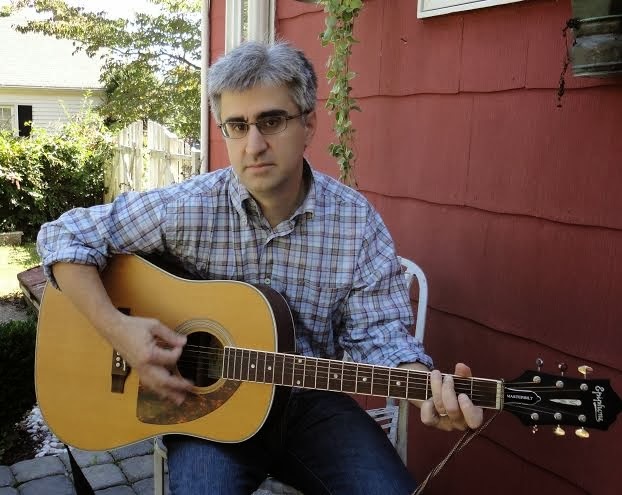 Today on the blog I had Len Vlahos, author of The Scar Boys. Len has worked for the American Booksellers Association, and played in a punk pop band, which partly inspired his novel. Here's an interview, and a chance to win a copy of the book! TCR: What was the hardest part about writing The Scar Boys? The easiest? LV: Great question and I have two answers, one general and one specific. The general difficulty in writing anything is pushing forward. It’s too easy, especially when composing an initial draft, to obsess about a particular section, particular paragraph, or even a particular sentence. But in writing as in life, the perfect is the enemy of the good. If I don’t keep the story moving I get trapped in an endless loop of self-editing. While I acknowledge (and firmly believe) that rewriting is the most crucial part of the process, the whole story needs to be down on paper first. 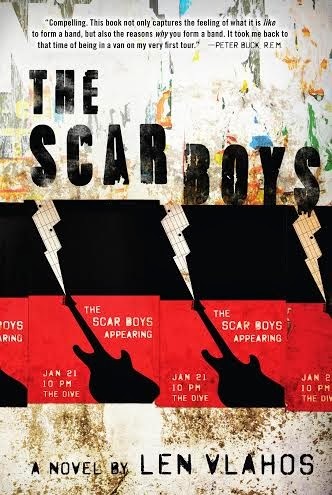 The specific issue with The Scar Boys had to do with how much of the backdrop of the book—the touring rock band of teenagers—was drawn from my own experience. In the eleventh grade, my friends and I started a punk pop band called Woofing Cookies. Like the fictional Scar Boys, we put out our own record and booked our own tour, only to see our van break down, stranding us in Georgia. When I was writing TSB, I often came to parts of the story where the reality of what had happened to me didn’t really work for Harry and his friends, and I would have to remind myself that I wasn’t writing a memoir. I was writing a novel, and my responsibility was to my characters, not some misguided sense of personal history. TCR: What the best (or most memorable) piece of writing advice you've ever received? LV: I have a friend in L.A. who’s a writer. She once told me about a writing exercise in which she had to write five hundred words in the first person and couldn’t use the words “I” or “me,” or maybe couldn’t use them more than once or twice. (My memory is hazy on the details, but the larger point is the same.) I loved the concept. Not because I don’t think you should use “I” and “me,” but because such an exercise makes you pay attention to the flow of your prose, to pay attention to the detail of your writing. TCR: The often-dreaded college essay plays a large role in The Scar Boys; do you remember what you wrote your own college essay about? If you had to write one now, what would you write about? What would I say in my video essay? I’d talk about my band, of course! TCR: What YA books have you read recently that you'd recommend to readers? I had never heard of Michael or his book, and I kind of freaked out. I mean, what if I hated Crash and Burn? I rushed out, got a copy, and dove in. Deep in. It’s a 500+ page tome, but every word is delicious. It’s the story of how Stephen “Crash” Crashinky saves his high school from David “Burn” Burnett. Crash is telling the story after the fact, and his voice is incredible. From the day Crash and Burn meet in grade school, right through the day Burn lays siege to the high school, it’s a realistic, gritty, and gripping tale. The cast of characters—Crash and Burn, Crash’s father and stepmother, Burns’ sister, Crash’s assorted friends—are pitch perfect. Be warned though, this is full of adult content and isn’t for younger teens or the faint of heart. That said, I cannot recommend it highly enough. A severely burned teenager. A guitar. Punk rock. The chords of a rock 'n' roll road trip in a coming-of-age novel that is a must-read story about finding your place in the world...even if you carry scars inside and out. The Scar Boys is out tomorrow! Len will be touring, so check out his schedule in case you have a chance to meet him. Follow the blog tour my heading over to the Mother Daughter Book Club tomorrow.